Sulfur is perhaps the most abundant element in the human body. It is found in most proteins in the sulfur-containing amino acids, along with phosphorus and nitrogen. These three elements form a triad of important elements needed as building blocks or structural components of all animal tissues. The sulfur gives animal tissues their strength, and their resiliency. Sulfur and nutritional balancing. Suflur is not supplemented in pill form because it is plentiful in foods. However, nutiritonal balancing emphasizes it and we find if one wishes to be healthy then one must eat meat, eggs and cooked vegetables and then your sulfur needs will be taken care of. Several sulfur amino acids and sulfur compounds are found in mammalian tissues. While some find their origin in the diet, other sulfur amino acids are formed in vivo from methionine in the tissues. Thus it is known that methionine is converted into homocysteine, cystathionine, cysteine, hypotaurine, and taurine. These metabolites are formed in the course of transferring a methyl group to other compounds. The mechanism of demethylation and the subsequent metabolism of the demethylated product, homocysteine, is now well established. The enzyme systems in most cases were first studied in liver preparations. The demonstration that 35S-methionine is converted into 35S-cysteine and 35S-taurine by rat brain in vitro and in vivo gave evidence that the sulfur amino acids are metabolized also in the mammalian brain. Several subsequent studies have shown similarities between the metabolism of methionine in liver and in brain, but they have also revealed some characteristic differences in the metabolism of sulfur amino acids in the brain: (1) the cystathionine and taurine concentrations are much higher in the brain than in the liver, (2) the enzyme cysteine sulfinic acid decarboxylase is predominantly a particulate deaminated to form isethionic acid by rat brain and heart and not by liver. An interesting feature of sulfur amino acid metabolism is that many of the enzyme systems involved in the conversion of methionine into its several metabolites require pyridoxal phosphate (vitamin B6) as a cofactor. Whereas in liver this cofactor is tightly bound to some of these enzymes, the corresponding enzymes in the brain are bound loosely to this cofactor, and their activity in the brain can be demonstrated in vitro only by adding the cofactor. The sulfur-containing amino acids (cysteine and methionine) are generally considered to be nonpolar and hydrophobic. In fact, methionine is one of the most hydrophobic amino acids and is almost always found on the interior of proteins. Cysteine on the other hand does ionize to yield the thiolate anion. Even so, it is uncommon to find cysteine on the surface of a protein. There are several reasons. First, sulfur has a low propensity to hydrogen bond, unlike oxygen. A consequence of this fact is that H2S is a gas under conditions that H2O is a liquid. Second, the thiol group of cysteine can react with other thiol groups in an oxidation reaction that yields a disulfide bond. Perhaps as a consequence, cysteine residues are most frequently buried inside proteins. When in its natural L-form, methionine is a proteinogen amino acid. It is classed as an essential amino acid and cannot be synthesized by the body itself. This means that a sufficient supply of methionine in the diet or as a dietary supplement is of particular importance. Sulphur compounds occur in all living creatures and have a multitude of functions. Besides cysteine, methionine is the only sulphur-containing amino acid. Furthermore methionine plays an important role in the synthesis of other proteins, such as carnitine or melatonine. Methionine has a fat-dissolving effect and reduces the depositing of fat in the liver. The cartilage in the joints requires sulphur for its production. If there is not enough sulphur available in the body, this can have negative effects for the healthy individual over the long term. People who suffer from arthritis can experience negative effects such as a prolonged healing process for the damaged tissue, if there is a sulphur deficiency at the beginning of the illness. Studies have shown that the cartilage from healthy people contains approximately three times more suphur than in arthritis patients.1 To make things more complicated, various arthritis medications connect sulphur, which are the salts in the sulphuric acid. The demand for sulphur is increasing to more than average levels. J Nutr. 2006 Jun;136(6 Suppl):1636S-1640S. The sulfur-containing amino acids: an overview. Methionine, cysteine, homocysteine, and taurine are the 4 common sulfur-containing amino acids, but only the first 2 are incorporated into proteins. Sulfur belongs to the same group in the periodic table as oxygen but is much less electronegative. This difference accounts for some of the distinctive properties of the sulfur-containing amino acids. Methionine is the initiating amino acid in the synthesis of virtually all eukaryotic proteins; N-formylmethionine serves the same function in prokaryotes. Within proteins, many of the methionine residues are buried in the hydrophobic core, but some, which are exposed, are susceptible to oxidative damage. Cysteine, by virtue of its ability to form disulfide bonds, plays a crucial role in protein structure and in protein-folding pathways. Methionine metabolism begins with its activation to S-adenosylmethionine. This is a cofactor of extraordinary versatility, playing roles in methyl group transfer, 5′-deoxyadenosyl group transfer, polyamine synthesis, ethylene synthesis in plants, and many others. In animals, the great bulk of S-adenosylmethionine is used in methylation reactions. S-Adenosylhomocysteine, which is a product of these methyltransferases, gives rise to homocysteine. Homocysteine may be remethylated to methionine or converted to cysteine by the transsulfuration pathway. Methionine may also be metabolized by a transamination pathway. This pathway, which is significant only at high methionine concentrations, produces a number of toxic endproducts. Cysteine may be converted to such important products as glutathione and taurine. Taurine is present in many tissues at higher concentrations than any of the other amino acids. It is an essential nutrient for cats. Sulfur is an essential nutrient (micro-mineral). It is a nonmetallic element that is essential for life. In most animals it represents about 0.25% of the body weight. However, sulfur is normally present as part of larger compounds, and the requirement for pure sulfur has not been determined for most species. In recent years, sulfur toxicity has become more common because of its high concentration in many byproduct feeds. The use of these feeds in ruminant diets is increasing, which in turn may increase the trace mineral requirement. The purpose of this article is to review our current understanding of sulfur nutrition and to look at how sulfur level in the diet may influence the copper requirement. Compounds containing sulfur play a variety of essential functions in the body. They act as structural entities (collagen), as catalysts (enzymes), as oxygen carriers (hemoglobin), as hormones (insulin), and as vitamins (thiamine and biotin). Sulfur is present in four amino acids: methionine, cystine, cysteine and taurine. The secondary structure of many proteins is determined by the cross linkage or folding due to covalent disulfide bonds between amino acids. Sulfur is the element that gives many key compounds their unique functional properties. For example, acetate is linked to coenzyme A by a thioester linkage to form acetyl coenzyme A. This compound is required for the formation of key metabolic intermediates such as citrate, acetoacetate and malonate. The sulfur in thiamine allows it to serve as a molecule which transfers carbonyl groups. Thiamine plays a key role in the formation of pentose sugars which are required for ribonucleic acids synthesis and photosynthesis. Biotin, another sulfur-containing B vitamin, acts a carrier for carbon dioxide in carboxylation reactions. Despite the fact that sulfur is a key mineral in many compounds essential for life, dietary inorganic sulfur is not necessary for the health of most animals. Pigs and poultry can do quite well with only organic sulfur (sulfur amino acids, thiamine, biotin, etc.) sources in their diets. The total absence of inorganic sulfur from the diet may increase the sulfur-amino acid requirement, which suggest that sulfur from the amino acids is used to synthesize other organic compounds containing sulfur. In contrast, ruminants may respond to inorganic sulfur supplementation, especially if the diet is high in nonprotein nitrogen. Block et al., (1951) showed that ruminal microorganism are capable of synthesizing all organic sulfur containing compounds essential for life from inorganic sulfur. When urea or other nonprotein nitrogen sources are fed, the diet may become deficient in sulfur. Goodrich et. al., (1978) reported that the nitrogen to sulfur ratio in rumen microbial protein averages 14.5:1. The common recommendation for the nitrogen:sulfur ratio is 10:1 in diets containing high levels of urea. The source of sulfur can influence its bioavailability. Goodrich et. al,. (1978) gave the following rankings from the most available to the least available: L-methionine> calcium sulfate >ammonium sulfate> sodium sulfate>molasses sulfur>sodium sulfide>lignin sulfonate>elemental sulfur. The recommend concentration of sulfur in beef cattle diets is 0.15% (NRC, 1996). However, this assumes the sulfur source is highly bioavailable. The type of forage in the diet may also influence sulfur requirement. For example, Archer and Wheeler, (1978) showed that increasing the sulfur concentration from 0.08% to 0.12% in cattle grazing sorghum sudangrass increased weight gains by 12%. Sulfur requirements may be higher for cattle grazing sorghum sudangrass because sulfur is required in the detoxification of the cyanogenic glucosides found in most sorghum forages. Sulfur bioavailability varies with the type of forage; fescue has a lower sulfur availability than other grasses. Cattle consuming fescue hay will often respond with improved intake and fiber digestion following sulfur supplementation. Forages usually contain between 0.1-0.3% sulfur, except for corn silage which is often lower. Zinn et al., (1997) reported that when ammonium sulfate was used to produce diets containing 0.15, 0.20 and 0.25% sulfur (DM basis), feedlot performance was reduced with the higher sulfur concentration. The diets were based on steam-flaked corn and fed to heifers weighing 845 pounds initially. Increasing dietary sulfur above 0.20%, caused a strong trend (P <.10) for decreased gains, feed intake and gain per unit of feed intake. The excess sulfur also caused a reduction (P <.05) in the ribeye area which is an important factor determining the yield grade of the carcass. Sulfur intake from the drinking water was not reported. Another problem that can occur when high dietary sulfur leads to the production of excess sulfides in the rumen is polioencephalomalacia, or PEM (Gould et al., 1991; Lowe et al., 1996). The most defining sign of PEM is the necrosis of the cerebrocortical region of the brain. Animals with PEM will often press their head against a wall or post. In some instances they become “star gazers,” where they stand with their head back over their shoulders looking up at the sky. If not treated with thiamine, most animals with PEM will die within 48 hours. A thiamine deficiency has been considered the most common cause of PEM in ruminants. However, recent research suggests that sulfur may play a key role in many instances of PEM. PEM has often been seen in animals that have had access to plants containing high amounts of thiaminase such as bracken fern (Merck, 1991). Thiamine is a B vitamin that plays a key role in the tri-carboxcylic acid cycle and pentose shunt. When thiamine is deficient, key tissues that require large amounts of thiamine, such as the brain and heart, are the first to show lesions. The exact interaction between dietary sulfur, thiaminase production, and PEM is not understood. Kung et al. (1998) postulated that sulfates in the feed or water are converted to hydrogen sulfide in the rumen. When the hydrogen sulfide is eructated with the other rumen gases, it is inhaled and can damage lung and brain tissues. Several researchers (Oliveria et al., 1996; Brent and Bartley, 1994 and Olkowski, et al., 1992) have suggested that high sulfide levels could cause the brain lesions associated with PEM. Kung et al., (1998) summarized six different reports in the literature where high sulfur intakes were associated with PEM. In these studies thiamine status was within normal ranges and giving thiamine did not prevent the signs in all cases. In these cases sulfur intakes from feed and water would have ranged from 0.40 to over 0.80% of the diet dry matter. Sulfates in the water can be a major source of sulfur intake. For example, in one of the cases cited by Kung et al., (1998), sulfates in the drinking water ranged from 2,200 to 2,800 ppm. When the water sulfur intake was expressed as a percent of the dry matter consumed, it averaged 0.67%. Digesti and Weeth (1976) proposed that the maximum safe concentration of sulfates in drinking water for cattle was 2,500 ppm. Water sulfate concentrations as high as 5,000 ppm have been reported (Veenhuizen et al., 1992). Accurately estimating water intake in these situations can also be a challenge. Water meters can be used for confined livestock to estimate the average intake, but with grazing animals drinking from ponds or streams, one can only estimate the intake. Usually water consumption will be 3-5 times the dry matter intake. Dry matter intake for grazing beef cattle and sheep will normally be between 1.5 and 2.5% of their body weight. Lactating dairy cows may consume over 3.5% of their body weight when grazing high quality forage. Although this is not a precise means of measuring water sulfur intake, it does allow one to estimate the relative contributions of the feed and water. Excess sulfur can also impair animal performance by reducing the availability of other minerals. For example, hydrogen sulfide in the rumen binds with molybdenum to form thiomolybdates. Thiomolybdates bind with copper in the rumen to form an insoluble complex. Some thiomolybdates are absorbed and impair the metabolism of copper in the body. For example, Gooneratne et al. (1989) reported that certain thiomolybdates cause copper to be bound to blood albumins which renders the copper unavailable for biochemical reactions in the body. Price et al., (1987) showed that tri- and tetrathiomolybdates were the sulfur-molybdenum complexes responsible for reducing copper absorption, while the di- and trithiomolybdates had the greatest effect on copper metabolism in the body. Sulfur also reduces copper absorption by the formation of insoluble copper sulfide in the rumen, independent of the formation of thiomolybdates. Rumen protozoa degrade sulfur amino acids to sulfide which binds to copper to form an insoluble complex. Smart et al., (1986) reported that decreasing the sulfate concentration of drinking water from 500 to 42 ppm, improved the copper status of cattle. These same researchers reported that the 10 ppm copper recommended by the Beef NRC (1996) was not adequate when cattle drank high-sulfur water, which resulted in a total dietary sulfur intake of 0.35%. The optimum level of copper supplementation required to combat high sulfur intakes has not been determined. The maximum tolerable level of copper for cattle has been estimated at 100 ppm (NRC 1980). Although this level is being fed in diets that are high in sulfur, certain breeds of dairy cattle such as the Jersey and Guernsey are susceptible to copper toxicity at concentrations below 100 ppm. In these situations, the source of copper is also important. Although copper sulfate is a common copper source, it would not be recommended if the diet is already high in sulfur. Copper oxide would not contribute to the sulfur problem, but because of its poor availability is not recommended. Copper carbonate is probably the best copper source for this situation. It has a bioavailability similar to copper sulfate, with out increasing sulfur intake. Sulfur (S) is one of seven generally recognized macro minerals needed in the diets of dairy cattle and other animals. Sulfur is a mineral that is found in the amino acids methionine, cysteine (cystine), homocysteine and in taurine. It is also in the B-vitamins, thiamin and biotin. It is an important component of healthy cartilage. As a part of the specified amino acids, it is key to the structure of proteins. Heating protein s u p p l e m e n t s can rearrange the structures of proteins, due to the sulfurcontaining amino acids, which can determine whether these nutrients are soluble and rumen degradable or if they will resist rumen degradation in cattle. Heating also affects the essential amino acid, lysine, when carbohydrates are present in a supplement. An example of this change by heating can be observed when an egg is boiled. • corn gluten feed, distillers grains and other corn coproducts. • The breath of cattle may smell like “rotten eggs,” due to the toxic form of sulfur, hydrogen sulfide. With recent increased usage of distillers grains in dairy and feedlot diets, the association between sulfur and PEM has been noted and documented. One of the causes of PEM in ruminants is the interference by sulfur with the B-vitamin, thiamin. Supplementation with thiamine may help to alleviate PEM. This is one reason why thiamin is included in Agri-King base mineral products. The symptoms of PEM include: • excessive salivation • nervousness and twitching (hypersensitivity) • poor muscle coordination and dullness • tilting the head to the side and walking in circles (star gazing) • head pressing • blindness • death Sulfur is an important element in the pH balance of the blood of animals. Sulfates are some of the anionic salts that are used to adjust PCI (Pre-Fresh Cow Index) that affects calcium utilization in cows prior to calving. This can be a key factor in the prevention of milk fevers and retained placentae in fresh cows. In summary, sulfur is needed in dairy rations at a minimum level of .20% of dry matter for a TMR. It is a key macro mineral in maintaining life and production in animals, and it is an essential component of some amino acids, vitamins and other nutrients needed by all animals. Like all required nutrients, too much S can become toxic. The maximum level of sulfur is .40% of the dry matter intake for cattle. Agri-King, Inc is a leader and innovator in animal nutrition. AgriKing rations are balanced to meet the nutrient needs of the animals that are fed by clients. For more information about Agri-King nutrition, contact a representative near you or visit the website at www.agriking.com. A large part of the world’s population is undernourished by the standards of Western Europe and North America. Scientists and nonscientists alike recognize as one of the major challenges of our time the problem of how to ensure that the production and distribution of food keep pace with the increasing number of mouths to be fed. In the world as a whole the most widespread and serious dietary deficiency is that of protein. This fact emerges clearly from the reports of the expert committees of WHO and FAO (World Health Organization, 1951, 1953). Nevertheless, many protein chemists, even those associated with medical research, may not realize the extent and severity of protein malnutrition, because it occurs chiefly in the technically underdeveloped countries far from where they work. Dietary histories and response to treatment point to deficiency of total protein as the primary cause of the clinical syndrome kwashiorkor. The level of calorie intake has an important influence on the pattern of the disease. Deficiency of one or more specific amino acids, or amino acid imbalances in the diet, may perhaps be responsible for some of the symptoms and signs, particularly those whose incidence varies from one part of the world to another. All these variations on a theme are covered by the general term protein malnutrition. The onset is often precipitated by the added burden of diarrhea, infection, and parasitic infestation. The nutritional state influences the resistance to infection, and conversely the presence of an infection affects the state of nutrition. A further contributory factor may be the psychological upheaval in the child when the next baby in the family is born. At the root of all these causes lie poverty, ignorance, and disruption of the family life. The planning of preventive measures cannot be effective unless it is based on some knowledge of the magnitude of the problem to be tackled. At a very rough estimate, in some countries perhaps 10% of the children suffer from severe protein malnutrition at some age between birth and 4 years. The marginal deficiency states must be much more common, Clinical signs and biochemical changes are of little value in diagnosing the early case; a deficit in body weight still seems to be the best criterion. Prevention ideally would be by greater production and consumption of animal protein, and by the increased use of skim milk and of surplus fish at present often wasted. However, animal protein is likely to remain scarce and expensive. Plant sources are being investigated with a view to encouraging not only domestic production, but also the production on an industrial scale of cheap foodstuffs rich in protein. A preventive program that is nutritionally sound may fail if account is not taken of local food habits, traditions, and customs. Protein requirements are affected by the quality of protein, the intake of calories, and by the state of the body (growth, the presence of disease, etc.). The maintenance requirement and the amount required for growth in children can be estimated, but the requirement for health is still unknown. For the time being, the allowances of protein recommended for people in the world as a whole are based empirically on the known physiological requirement with an arbitrarily added wide margin of safety. The absorption of nitrogen is remarkably efficient even in severely malnourished infants. In general the nitrogen of plant proteins is less well absorbed than that of milk. When a baby receives a diet in which the protein is derived entirely from vegetabIe sources, incomplete absorption of nitrogen may play a significant part in the production of protein malnutrition. The malnourished baby who responds to treatment is able to retain and utilize nitrogen very efficiently; there is no evidence of any impairment in the mechanisms of protein synthesis. It is possible, however, that these mechanisms may be irreversibly damaged in babies who die, and that this may be the cause of death. The level of calorie intake has an important influence on the efficiency of utilization of nitrogen. An adequate calorie intake promotes conservation of nitrogen in the body as a whole when supplies of protein are short, but this protective effect may not be exerted equally in all organs. In this way the level of calorie intake may modify the pattern of protein depletion. A greater than normal calorie intake is needed for the restoration of depleted protein stores. The discussion of protein metabolism in protein malnutrition has been purposely limited to a narrow field-to studies made on man, and to the few animal experiments that have a direct bearing on those studies. For technical reasons most of the work discussed relates to plasma proteins. There is a conflict of evidence between results obtained in man and animals about the effect of protein depletion or a low protein diet on the rate of catabolism of plasma albumin. It is of great importance to settle this point. A priori there seems no reason why the rate of protein catabolism should be affected by nutritional state. Preliminary studies with radioactive methionine in infants suggest, as working hypotheses, that in protein malnutrition there may be an increase in the reutilization of amino acids liberated by tissue catabolism, and an apparent concentration of protein synthesis in the more essential organs at the expense of the less essential. There is some experimental support for both these ideas, but further work is badly needed. The concept of protein stores or reserve protein is based entirely on dynamic and not on chemical considerations. It is suggested that the essential difference between a “labile” and a “fixed” protein is a difference in turnover rate. An attempt is made to show that the changes produced by protein depletion in the protein content of organs such as liver and muscle are a necessary consequence of the metabolic characteristics of proteins in those organs. There may be no need to invoke the help of homeostatic or compensatory regulations to explain the changes found in protein depletion. Aging and growth are processes during which some metabolic adjustments must take place. It is believed that it may be better to regard the changes which are found in protein malnutrition in a similar light: as evidence of an alteration in functional pattern, rather than of damage or disease. Protein malnutrition in man has two aspects-a practical and a theoretical one. From the practical point of view it is an extremely common disease with a high mortality, and there is every reason to believe that it will become more common unless urgent preventive measures are taken. Theoretically it raises many questions that are of interest in relation to other branches of medicine and biochemistry. It is believed that the two aspects are linked, and that progress towards prevention is still impeded by our lack of basic knowledge as well as by our failure to apply what is already known. In protein malnutrition there is no sharp line between health and disease. The simple concept of specific deficiency diseases that grew from the discovery of vitamins is not applicable. We have to go back instead to the ideas of an earlier era, when nutrition was regarded as a branch of physiology, concerned with the functions, fate, and metabolic interrelationships of the major nutrients. It is a characteristic of protein metabolism that nitrogen balance can be maintained at many different levels of protein intake. These different steady states are achieved by adjustments of the amount and distribution of proteins in the body as a whole, in organs, and in cells. It is believed that these changes in amount and distribution of proteins must result in alterations of metabolic pattern, with a gradation of change from an optimum, which cannot be defined, to a state of irreversible breakdown incompatible with life. In the intermediate stages function is modified and efficiency perhaps impaired. It seems possible that variations in diet, and particularly in the amount and quality of the protein, may underlie many of the differences in incidence and symptomatology of disease which are gradually being uncovered in different parts of the world. This article is written among a series of articles concerned with stress, obesity, diet and exercise, as well as altitude and deep water diving for extended periods, and their effects. There is a reason that I focus on transthyretin (TTR), although much can be said about micronutients and vitamins, and fat soluble vitamins in particular, and iron intake during pregnancy. While the importance of vitamins and iron are well accepted, the metabolic basis for their activities is not fully understood. In the case of a single amino acid, methionine, it is hugely important because of the role it plays in sulfur metabolism, the sulfhydryl group being essential for coenzyme A, cytochrome c, and for disulfide bonds. The distribution of sulfur, like the distribution of iodine, is not uniform across geographic regions. In addition, the content of sulfur found in plant sources is not comparable to that in animal protein. There have been previous articles at this site on TTR, amyloid and sepsis. Transthyretin has been widely used as a biomarker for identifying protein-energy malnutrition (PEM) and for monitoring the improvement of nutritional status after implementing a nutritional intervention by enteral feeding or by parenteral infusion. This has occurred because transthyretin (TTR) has a rapid removal from the circulation in 48 hours and it is readily measured by immunometric assay. Nevertheless, concerns have been raised about the use of TTR in the ICU setting, which prompts a review of the actual benefit of using this test in a number of settings. TTR is easily followed in the underweight and the high risk populations in an ambulatory setting, which has a significant background risk of chronic diseases. It is sensitive to the systemic inflammatory response syndrom (SIRS), and needs to be understood in the context of acute illness to be used effectively. There are a number of physiologic changes associated with SIRS and the injury/repair process that will affect TTR and will be put in context in this review. The most important point is that in the context of an ICU setting, the contribution of TTR is significant in a complex milieu. copyright @ Bentham Publishers Ltd. 2009. Transthyretin as a marker to predict outcome in critically ill patients. Arun Devakonda, Liziamma George, Suhail Raoof, Adebayo Esan, Anthony Saleh, Larry H. Bernstein. A determination of TTR level is an objective method od measuring protein catabolic loss of severly ill patients and numerous studies show that TTR levels correlate with patient outcomes of non-critically ill patients. We evaluated whether TTR level correlates with the prevalence of PEM in the ICUand evaluated serum TTR level as an indicator of the effectiveness of nutrition support and the prognosis in critically ill patients. TTR showed excellent concordance with patients classified with PEM or at high malnutrition risk, and followed for 7 days, it is a measure of the metabolic burden. TTR levels did not respond early to nutrition support because of the delayed return to anabolic status. It is particularly helpful in removing interpretation bias, and it is an excellent measure of the systemic inflammatory response concurrent with a preexisting state of chronic inanition. abbreviations: TBG, thyroxine-binding globulain; CBG, cortisol-binding globulin; IGFBP-3, insulin growth factor binding protein-3; TTR, transthyretin; RBP, retionol-binding protein. Why Should Plasma Transthyretin Become a Routine Screening Tool in Elderly Persons? J Nutrition, Health & Aging 2009. The homotetrameric TTR molecule (55 kDa as MM) was first identified in cerebrospinal fluid (CSF). The initial name of prealbumin (PA) was assigned based on the electrophoretic migration anodal to albumin. PA was soon recognized as a specific binding protein for thyroid hormone. and also of plasma retinol through the mediation of the small retinol-binding protein (RBP, 21 kDa as MM), which has a circulating half-life half that of TTR (24 h vs 48 h). There exist at least 3 goos reasons why TTR should become a routine medical screening test in elderly persons. The first id grounded on the assessment of protein nutritional status that is frequently compromized and may become a life threatening condition. TTR was proposed as a marker of protein-energy malnutrition (PEM) in 1972. As a result of protein and energy deprivation, TTR hepatic synthesis is suppressed whereas all plasma indispensable amino acids (IAAs) manifest declining trends with the sole exception of methionine (Met) whose concentration usually remains unmodified. By comparison with ALB and transferrin (TF) plasma values, TTR did reveal a much higher degree of reactivity to changes in protein status that has been attributed to its shorter biological half-life and to its unusual tryptophan richness. The predictive ability of outcome offered by TTR is independent of that provided by ALB and TF. Uncomplicated PEM primarily affects the size of body nitrogen (N) pools, allowing reduced protein syntheses to levels compatible with survival. These adaptiver changes are faithfully identified by the serial measurement of TTR whose reliability has never been disputed in protein-depleted states. On the contrary, the nutritional relevance of TTR has been controverted in acute and chronic inflammatory conditions due to the cytokine-induced transcriptional blockade of liver synthesis which is an obligatory step occurring independently from the prevailing nutritional status. Although PEM and stress ful disorders refer to distinct pathogenic mechanisms, their combined inhibitory effects on TTR liber production fueled a long-lasting strife regarding a poor specificity. Recent body compositional studies have contributed to disentagling these intermingled morbidities, showing that evolutionary patterns displayed by plasma TTR are closely correlated with the fluctuations of lean body mass (LBM). The second reason follows from advances describing the unexpected relationship established between TTR and homocysteine (Hcy), a S-containing AA not found in customary diets but resulting from the endogenous transmethylation of dietary methionine. Hcy may be recycled to Met along a remethylation pathway (RM) or irreversibly degraded throughout the transsulfuration (TS) cascade to relase sulfaturia as end-product. Hcy is thus situated at the crossrad of RM and TS pathways which are in equilibrium keeping plasma Met values unaltered. Three dietary water soluble B viatamins are implicated in the regulation of the Hcy-Met cycle. Folates (vit B9) are the most powerful agent, working as a supplier of the methyl group required for the RM process whereas cobalamines (vit B12) and pyridoxine (vit B6) operate as cofactors of Met-synthase and cystathionine-β-synthase. Met synthase promotes the RM pathway whereas the rate-limiting CβS governs the TS degradative cascade. Dietary deficiency in any of the 3 vitamins may upregulate Hcy plasma values, an acquied biochemiucal anomaly increasingly encountered in aged populations. The third reason refers to recent and fascinating data recorded in neurobiology and emphasizing the specific properties of TTR in the prevention of brain deterioration. TTR participates directly in the maintenance of memory and normal cognitive processes during the aging process by acting on the retinoid signaling pathway. Moreover, TTR may bind amyloid β peptide in vitro, preventing its transformation into toxic amyloid fibrils and amyloid plaques. TTR works as a limiting factor for the plasma transport of retinoid, which in turn operates as a limiting determinant of both physiologically active retinoic acid (RA) derivatives, implying that any fluctuation in protein status might well entail corresponding alterations in cellular bioavailability of retinoid compounds. Under normal aging circumstances, the concentration of retinoid compounds declines in cerebral tissues together with the downregulation of RA receptor expression. In animal models, depletion of RAs causes the deposition of amyloid-β peptides, favoring the formation of amyloid plaques. We compressed 16-test-pattern classes of albumin (ALB), cholesterol (CHOL), and total protein (TPR) in 545 chemistry profiles to 4 classes by conveerting decision values to a number code to separate malnourished (1 or 2) from nonmalnourished (NM)(0) patients using as cutoff values for NM (0), mild (1), and moderate (2): ALB 35, 27 g/L; TPR 63, 53 g/L; CHOL 3.9, 2.8 mmol/L; and BUN 9.3, 3.6 mmol/L. The BUN was found to have to have too low an S-value to make a contribution to the compressed classification. The cutoff values for classifying the data were assigned prior to statistical analysis, after examining information in the structured data. The data was obtained by a natural experiment in which the test profiles routinely done by the laboratory were randomly extracted. The analysis identifies the values used that best classify the data and are not dependent on distributional assumptions. The data were converted to 0, 1, or 2 as outcomes, to create a ternary truth table (eaxch row in nnn, the n value is 0 to 2). This allows for 34 (81) possible patterns, without the inclusion of prealbumin (TTR). The emerging system has much fewer patterns in the information-rich truth table formed (a purposeful, far from random event). We added TTR, coded, and examined the data from 129 patients. The classes are a compressed truth table of n-coded patterns with outcomes of 0, 1, or 2 with protein-energy malnutrition (PEM) increasing from an all-0 to all-2 pattern. Pattern class (F=154), PAB (F=35), ALB (F=56), and CHOL (F=18) were different across PEM class and predicted PEM class (R-sq. = 0.7864, F=119, p < E-5). Kruskall-Wallis analysis of class by ranks was significant for pattern class E-18), TTR (6.1E-15) ALB (E-16), CHOL (9E-10), and TPR (5E-13). The medians and standard error (SEM) for TTR, ALB, and CHOL of four TTR classes (NM, mild, mod, severe) are: TTR = 209, 8.7; 159, 9.3; 137, 10.4; 72, 11.1 mg/L. ALB – 36, 0.7; 30.5, 0.8; 25.0, 0.8; 24.5, 0.8 g/L. CHOL = 4.43, 0.17; 4.04, 0.20; 3.11, 0.21; 2.54, 0.22 mmol/L. TTR and CHOL values show the effect of nutrition support on TTR and CHOL in PEM. Moderately malnourished patients receiving nutrition support have TTR values in the normal range at 137 mg/L and at 159 mg/L when the ALB is at 25 g/L or at 30.5 g/L. Larry Bernstein, Thomas Shaw-Stiffel, Lisa Zarney, Walter Pleban. Nutrition Nov 1996;12(11):772-776. PII: S0899-9007(96)00222-5. Unidentified protein-energy malnutrition (PEM) is associated with comorbidities and increased hospital length of stay. We developed a model for identifying severe metabolic stress and likelihood of malnutrition using test patterns of albumin (ALB), cholesterol (CHOL), and total protein (TP) in 545 chemistry profiles…They were compressed to four pattern classes. ALB (F=170), CHOL (F = 21), and TP (F = 5.6) predicted PEM class (R-SQ = 0.806, F= 214; p < E^-6), but pattern class was the best predictor (R-SQ = 0.900, F= 1200, p< E^-10). Ktuskal-Wallis analysis of class by ranks was significant for pattern class (E^18), ALB (E^-18), CHOL (E^-14), TP (@E^-16). The means and SEM for tests in the three PEM classes (mild, mod, severe) were; ALB – 35.7, 0.8; 30.9, 0.5; 24.2, 0.5 g/L. CHOL – 3.93, 0.26; 3.98, 0.16; 3.03, 0.18 µmol/L, and TP – 68.8, 1.7; 60.0, 1.0; 50.6, 1.1 g/L. We classified patients at risk of malnutrition using truth table comprehension. J Alzheimer’s Dis 2015; 44: 745-754. Lean body mass (LBM) encompasses all metabolically active organs distributed into visceral and structural tissue compartments and collecting the bulk of N and K stores of the human body. Transthyretin (TTR) is a plasma protein mainly secreted by the liver within a trimolecular TTR-RBP-retinol complex revealing from birth to old age strikingly similar evolutionary patterns with LBM in health and disease. TTR is also synthesized by the choroid plexus along distinct regulatory pathways. Chronic dietary methionine (Met) deprivation or cytokine-induced inﬂammatory disorders generates LBM downsizing following differentiated physiopathological processes. Met-restricted regimens downregulate the transsulfuration cascade causing upstream elevation of homocysteine (Hcy) safeguarding Met homeostasis and downstream drop of hydrogen sulﬁde (H2S) impairing anti-oxidative capacities. Elderly persons constitute a vulnerable population group exposed to increasing Hcy burden and declining H2S protection, notably in plant-eating communities or in the course of inﬂammatory illnesses. Appropriate correction of defective protein status and eradication of inﬂammatory processes may restore an appropriate LBM size allowing the hepatic production of the retinol circulating complex to resume, in contrast with the refractory choroidal TTR secretory process. As a result of improved health status, augmented concentrations of plasma-derived TTR and retinol may reach the cerebrospinal ﬂuid and dismantle senile amyloid plaques, contributing to the prevention or the delay of the onset of neurodegenerative events in elderly subjects at risk of Alzheimer’s disease. TTR (transthyretin) amyloidosis are diseases characterized by the aggregation and extracellular deposition of the normally soluble plasma protein TTR. Ex vivo and tissue culture studies suggest that tissue damage precedes TTR ﬁbril deposition, indicating that early events in the amyloidogenic cascade have an impact on disease development. We used a human cardiomyocyte tissue culture model system to deﬁne these events. We previously described that the amyloidogenic V122I TTR variant is cytotoxic to human cardiac cells, whereas the naturally occurring, stable and non-amyloidogenic T119M TTR variant is not. We show that most of the V122I TTR interacting with the cells is extracellular and this interaction is mediated by a membraneprotein(s). In contrast, most of the non-amyloidogenic T119M TTR associated with the cells is intracellular where it undergoes lysosomal degradation. The TTR internalization process is highly dependent on membrane cholesterol content. Using a ﬂuorescent labelled V122I TTR variant that has the same aggregation and cytotoxic potential as the native V122I TTR, we determined that its association with human cardiomyocytes is saturable with a KD near 650nM. Only amyloidogenic V122I TTR compete with ﬂuorescent V122I force ll-binding sites. Finally, incubation of the human cardiomyocytes with V122I TTR but not with T119M TTR, generates superoxide species and activates caspase3/7. In summary, our results show that the interaction of the amyloidogenic V122I TTR is distinct from that of a non-amyloidogenic TTR variant and is characterized by its retention at the cell membrane, where it initiates the cytotoxic cascade. The vitamin (retinol) metabolite, all-transretinoic acid (RA), is a signaling molecule that plays key roles in the development of the body plan and induces the differentiation of many types of cells. In this review the physiological and pathophysiological roles of retinoids (retinol and related metabolites) in mature animals are discussed. Both in the developing embryo and in the adult, RA signaling via combinatorial Hoxgene expression is important for cell positional memory. The genes that require RA for the maturation/differentiation of T cells are only beginning to be cataloged, but it is clear that retinoids play a major role in expression of key genes in the immune system. An exciting, recent publication in regeneration research shows that ALDH1a2(RALDH2), which is the rate-limiting enzyme in the production of RA from retinaldehyde, is highly induced shortly after amputation in the regenerating heart, adult ﬁn, and larval ﬁn in zebraﬁsh. Thus, local generation of RA presumably plays a key role in ﬁn formation during both embryogenesis and in ﬁn regeneration. HIV transgenic mice and human patients with HIV-associated kidney disease exhibit a profound reduction in the level of RARβ protein in the glomeruli, and HIV transgenic mice show reduced retinol dehydrogenase levels, concomitant with a greater than 3-fold reduction in endogenous RA levels in the glomeruli. Levels of endogenous retinoids (those synthesized from retinol within cells) are altered in many different diseases in the lung, kidney, and central nervous system, contributing to pathophysiology. such as the eye, brain, heart, and lung. STRA6 binds to RBP with high affinity and mediates vitamin A uptake into cells. This review summarizes the history of the RBP receptor research, its expression in the context of known functions of vitamin A in distinct human organs, structure/function analysis of this new type of membrane receptor, pertinent questions regarding its very existence, and its potential implication in treating human diseases. Ibrahim González-Marrero, Lydia Giménez-Llort, Conrad E. Johanson, et al. Compromised secretory function of choroid plexus (CP) and defective cerebrospinal ﬂuid (CSF) production, along with accumulation of beta-amyloid (Aβ) peptides at the blood-CSF barrier (BCSFB), contribute to complications of Alzheimer’s disease (AD). The AD triple transgenic mouse model (3xTg-AD) at 16 month-old mimics critical hallmarks of the human disease: β-amyloid (Aβ) plaques and neuroﬁbrillary tangles (NFT) with a temporal-and regional-speciﬁc proﬁle. Currently, little is known about transport and metabolic responses by CP to the disrupted homeostasis of CNS Aβ in AD. This study analyzed the effects of highly-expressed AD-linked human transgenes (APP, PS1 and tau) on lateral ventricle CP function. Confocal imaging and immunohistochemistry revealed an increase only of Aβ42 isoform in epithelial cytosol and in stroma surrounding choroidal capillaries; this buildup may reﬂect insufﬁcient clearance transport from CSF to blood. Still, there was increased expression, presumably compensatory, of the choroidal Aβ transporters: the low density lipoprotein receptor-related protein1 (LRP1) and the receptor for advanced glycation end product (RAGE). A thickening of the epithelial basal membrane and greater collagen-IV deposition occurred around capillaries in CP, probably curtailing solute exchanges. Moreover, there was attenuated expression of epithelial aquaporin-1 and transthyretin(TTR) protein compared to Non-Tg mice. Collectively these ﬁndings indicate CP dysfunction hypothetically linked to increasing Aβ burden resulting in less efﬁcient ion transport, concurrently with reduced production of CSF (less sink action on brain Aβ) and diminished secretion of TTR (less neuroprotection against cortical Aβ toxicity). The putative effects of a disabled CP-CSF system on CNS functions are discussed in the context of AD. Organelle facts•The ER is involved in the folding and maturation ofmembrane-bound and secreted proteins.•The ER exerts protein quality control to ensure correct folding and to detect and remove misfolded proteins.•Disturbance of ER homeostasis leads to protein misfolding and induces the UPR.•Activation of the UPR is aimed to restore proteostasis via an intricate transcriptional and (post)translational signaling network.•In neurodegenerative diseases classiﬁed as tauopathies the activation of the UPR coincides with the pathogenic accumulation of the microtubule associated protein tau.•The involvement of the UPR in tauopathies makes it a potential therapeutic target. The endoplasmic reticulum (ER) is involved in the folding and maturation of membrane-bound and secreted proteins. Disturbed homeostasis in the ER can lead to accumulation of misfolded proteins, which trigger a stress response called the unfolded protein response (UPR). In neurodegenerative diseases that are classiﬁed as tauopathies, activation of the UPR coincides with the pathogenic accumulation of the microtubule associated protein tau. Several lines of evidence indicate that UPR activation contributes to increased levels of phosphorylated tau, a prerequisite for the formation of tau aggregates. Increased understanding of the crosstalk between signaling pathways involved in protein quality control in the ERand tau phosphorylation will support the development of new therapeutic targets that promote neuronal survival. Inheriting a mutant misfolding-prone protein that cannot be efﬁciently folded in a given cell type(s) results in a spectrum of human loss-of-function misfolding diseases. The inability of the biological protein maturation pathways to adapt to a speciﬁc misfolding-prone protein also contributes to pathology. Chemical and biological therapeutic strategies are presented that restore protein homeostasis, or proteostasis, either by enhancing the biological capacity of the proteostasis network or through small molecule stabilization of a speciﬁc misfolding-prone protein. Herein, we review the recent literature on therapeutic strategies to ameliorate protein misfolding diseases that function through either of these mechanisms, or a combination thereof, and provide our perspective on the promise of alleviating protein misfolding diseases by taking advantage of proteostasis adaptation. It is a report of a scientific study carried out by Kilmer S. Cully and Yves Ingenbleek, Harvard Pathology and Univ Louis Pasteur. I have previously written about the conundrum of transthyretin as an accurate marker of malnutrition, but also being lowered by the septic state. This is accounted for by the catabolic state that sets off autocannabalization of skeletal muscle and lean body mass to provide gluconeogenic precursors to sustain life. While serum albumin and transthyretin both decline, the former has a half-life of 20 days, while the latter is 48 hours. Much work has been done to gain a better understand this rapid turnover protein that transports thyroxine, and the immediate result of the decline in concentration is a shift the the hormone protein binding equilibrium increasing the free thyroxine, a euthyroid hyperthyroid effect. However, much work by Prof. Inglenbleek, some ion collaboration with Vernon Young, at MIT, showed that transthyretin reflects the sulfur stores of animals. The sulfur to nitrogen ratio of plants is 1:20, but it is 1:12 in man, so the dietary intake would affect an omnivorous animal. 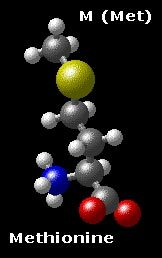 Recall that S is carried on amino acids that take part in disulfide linkage. A deficiency in S containing amino acids would have a negative health effect. The story is presented here. The World Health Organization (WHO) reports that 16.7 million deaths occur worldwide each year due to cardiovascular disease, and more than half of those deaths occur in developing countries where plant-based diets high in legumes and starches are eaten by the vast majority of the people. Yet “everyone knows” plant-based diets prevent heart disease. Indeed this myth is repeated so often that massive numbers of educated, health-conscious individuals in first world countries are consciously adopting third world style diets in the hope of preventing disease, optimizing health and maximizing longevity. But if the WHO statistics are correct, plant-based diets might not be protective at all. And today’s fashionable experiment in veganism could end very badly indeed. A study out August 26 in the journal Nutrition makes a strong case against plant-based diets for prevention of heart disease. The title alone – “Vegetarianism produces subclinical malnutrition, hyperhomocysteinemia and atherogenesis” — sounds a significant warning. The article establishes why subjects who eat mostly vegetarian diets develop morbidity and mortality from cardiovascular disease unrelated to vitamin B status and Framingham criteria. Dr. McCully teamed up with Yves Ingenbleek, MD, of the University Louis Pasteur in Strasbourg, France, which funded the research. Dr. Ingenbleek is well known for his work on malnutrition, the essential role of sulfur to nitrogen, and sulfur deficiency as a cause of hyperhomocysteinemia. The rural men were apparently healthy, physically active farmers with good lipid profiles. Their staple foods included cassava, sweet potatoes, beans, millet and ground nuts. Cassava leaves, cabbages and carrots provided good levels of carotenes, folates and pyridoxine (B6). The diet is plant-based there because of a shortage of grazing lands and livestock, but subjects occasionally consume some B12-containing foods, mostly poultry and eggs, though very little dairy or meat. Their diet could be described as high carb, high fiber, low in both protein and fat, and low in the sulfur containing amino acids. In brief, the very diet recommended by many of today’s nutritional “experts” for overall good health and heart disease prevention. The urban controls were likewise healthy and ate a similar diet, but with beef, smoked fish and canned or powdered milk regularly on the menus. Their diet was thus higher in protein, fat and the sulfur-containing amino acids though roughly equivalent in calories. The plant-based diet of the study group was low in all of the sulfur-containing amino acids. As would be expected, labwork on these men showed lower plasma cysteine and glutathione levels compared to the controls. Methionine levels, however, tested comparably. The explanation for this is “adaptive response.” In brief, mammals trying to function with insufficient sulfur-containing amino acids will do whatever’s necessary to survive. Given the essential role of methionine in metabolic processes, that means deregulating the transsulfuration pathway, increasing homocysteine levels, and methylating homocysteine to make methionine. Ultimately, it all boils down to our need for sulfur. As Stephanie Seneff, PhD, and many others have written in Wise Traditions and on this website, sulfur is vital for disease prevention and maintenance of good health. In terms of heart disease, Drs. Ingenbleek and McCully have shown sulfur deficiency not only leads to high homocysteine levels, but is the likeliest reason some clinical trials using B6, B12 and folate interventions have proved ineffective for the prevention of cardiovascular and cerebrovascular diseases. Over the past few years, headlines from such studies have led to widespread dismissal of Dr. McCully’s “Homocysteine Theory of Heart Disease” and renewed media focus on cholesterol, c-reactive protein and other possible culprits that can be treated by statins and other profitable drugs. In contrast, Drs. McCully and Ingenbleek research suggests we can better prevent heart disease with three inexpensive B vitamins and traditional diets rich in the sulfur-containing amino acids found in animal foods. Thanks to Sylvia Onusic PhD who was able to access a full text copy of this article to share with me. This entry was posted in WAPF Blog and tagged B12, Forks over Knives, Kaayla T. Daniel, Kilmer S. McCully, Naughty Nutritionist, soy, sulfur, Yves Ingenbleek. Bookmark the permalink. motivated by personalized nutritional counseling for health maintenance and disease prevention. the non-targeted identification of all gene products (transcripts, proteins, and metabolites) present in a specific biological sample. By their nature, these technologies reveal unexpected properties of biological systems. the refined analysis of quantitative dynamics in biological systems (10). both technical accuracy and the identification and quantitation of small-molecular-weight metabolites. This potential is a prerequisite for the analysis of dynamic systems. Thus, metabolomics is a key technology for systems biology. to assess health, sensory as well as quality and safety aspects of food. on biomarkers of exposure (bioavailability) and bioefficacy. after acute and chronic uptake. the impact of food on defined health outcomes. to monitor molecular changes in the body in a highly specific and sensitive manner. with broad applications throughout all areas of nutrition research (11).